It’s smart thinking to wonder if you’re providing the right care and maintenance for your roof. After all, it’s the most important barrier between your home and family and the weather. 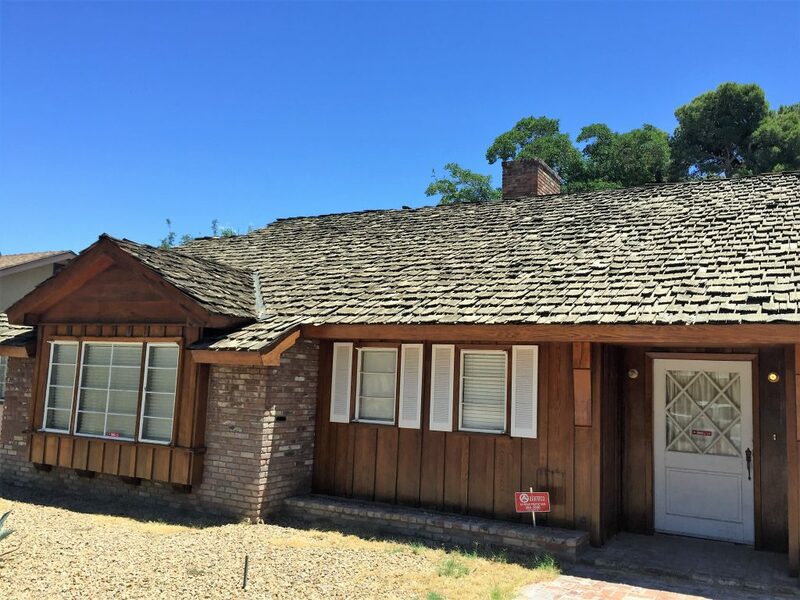 Neglecting your roof can lead to creeping damage that may be expensive to repair and could cause loss of personal property from intrusion of water and mold. Doing at least an annual cleaning and inspection will go a long way to prevent long-term issues with your roof. A clean, well-maintained roof will add years to its life and value to your home. The most common task involved in roof cleaning is removing debris from rain gutters to allow rainwater to flow through the roof drainage system as designed, and help prevent water damage to the exterior and interior of your home. Gutter cleaning is a great time for a general health inspection of your roof. The best times to do an inspection are during spring and fall as the seasons change. If possible, use a ladder to work on clearing your rain gutters. As you work, carry out a good visual inspection of as much of the roof as you can see. Judge the condition of shingles, downspouts, gutters, and skylights. Take note of any dark stains or discolorations, such as water stains. These are possible signs of water infiltration or areas that may need further inspection and repair. Clear and test gutters and downspouts. Use a broom, gloves or other light tool to clean out debris from these important systems that direct water away and off your roof. The roof valleys and the roof’s intentional slope are designed to direct rainwater from the roof to the gutter system. When debris accumulates on your rooftop, the entire system is affected. Loose or broken gutters and downspouts need to be repaired so that they do not misdirect rainwater and cause damage to your home. Trim back trees and bushes. A semi-annual plant trimming will help avoid roof damage and damage to your plants. Cut tree limbs and large bushes back at least 1-2 feet from your house, and keep them far from your rain gutters to reduce clutter. Keep climbing plants off your walls and roof. They can infiltrate drainage systems and hide water damage and rot. Be sure to remove all dead branches from your trees before they become a hazard. 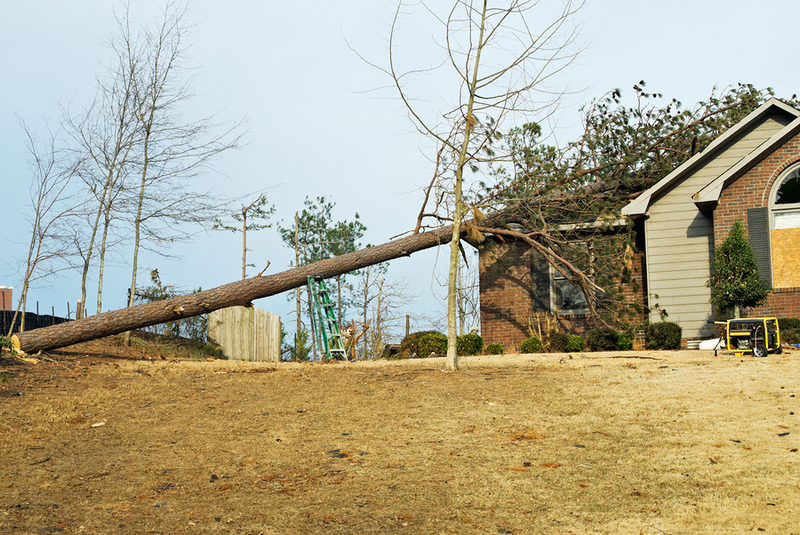 If a tree is in poor health, have it removed to avoid it falling on your home during a storm. When in doubt, contact an arborist for an expert opinion. Check for clogged or blocked vents. To be sure your ventilation systems are working properly. Visually inspect roof vents and fixtures, which come in many types and shapes. Don’t forget to inspect flat soffit vents which may be located vertically on the side of the house or horizontally under the eaves of your roof. If the openings on roof vents are blocked, your roof may be accumulating moisture inside the roof and attic that can result in warping, rotting or moldy eaves, roofing or walls. 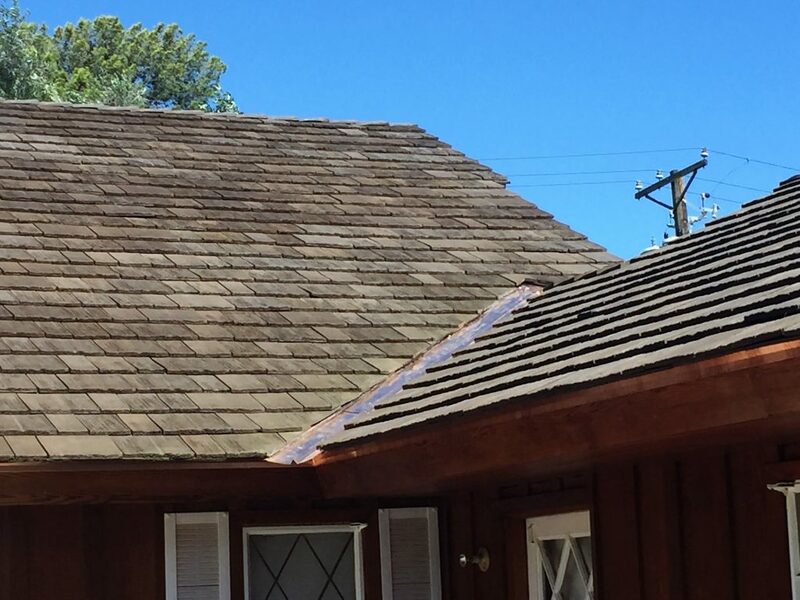 Left year after year, this accumulated moisture can result in major repair costs or even require reroofing. Look for loose, bent or broken flashing. Flashing is the metal material used to close gaps between roofing components, usually along the ridge of the roof, around the edge of chimneys, vents and other roof fixtures, or along the eaves and gutters. Flashing serves to weatherproof these joints, making your roof fully resistant to wind and water intrusion. Any that are not functioning properly should be repaired to avoid further damage in high winds, rain or other severe weather. 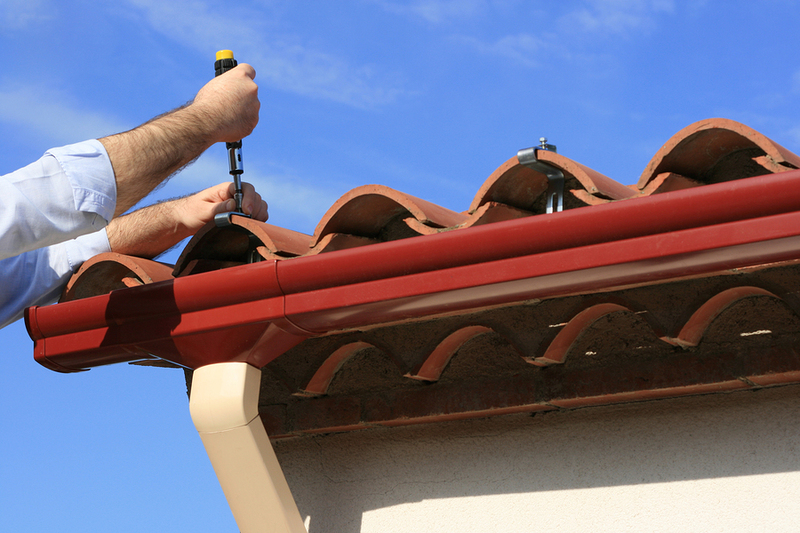 Some flashing can be easily secured back in place, but it’s best to have a roofer do the work as misplaced flashing or incorrectly placed nails can result in severe leakage or other problems. Of course, if your home is two stories (or more), seeing your rooftop from a ladder may not be possible. 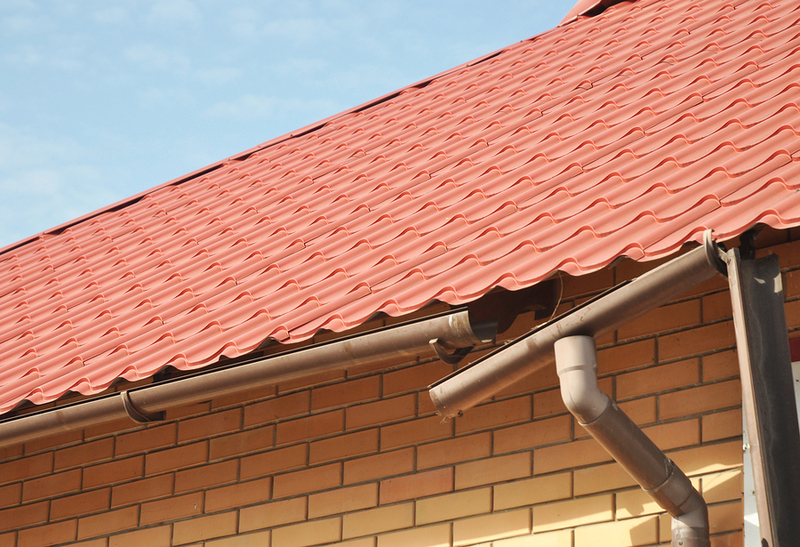 Or, your home may not even have a gutter system if it was built with slope high enough to drain water away. This is typical in the desert Southwest. If you don’t or can’t regularly work around your roof, build a relationship with a local roofer who will do an affordable annual inspection for you. This could save you thousands in “surprise” repairs down the road. After you remove debris from the gutters, test the system using your water hose (don’t use the hose to clear packed gutters – you may end up just clogging the drainage system). Run the hose across the roof to simulate rain. Check that all the water is flowing into the gutters and that they, and the downspouts, are clear and functioning. There should be no water pooling on top of your roof. Roofing materials will begin to look weathered over time. Look for areas that appear moist or warped, rather than just aged or weathered. Long-term, localized moisture is your roof’s enemy and should be investigated. If moss, algae or related unattractive stains are a problem, most roofs can be gently cleaned with a biodegradable chemical cleaner to discourage moss growth and help extend the life of asphalt shingles. They can be cleaned by the homeowner using regular household items. Note that installing copper or zinc flashing can also help to reduce moss and algae as they naturally contain antifungal elements which wash down the roof and protect it from these growths. Algae stains are common in humid parts of the country but not common in the Southwest. Some roofing materials may have a manufacturer’s clause regarding regular cleaning or maintenance. Keep your warranty effective by following their guidelines. Modern roofing materials, such as CeDUR shake roofing, are available and offer improved durability, weather-resistance and longer life. Many newer materials are resistant to mold, mildew, moss and algae. Metal roofing, for example, has a long life, needs little maintenance and naturally resists the growth of mold, moss and algae. Be sure to ask about maintenance and durability of your roofing materials whenever you select a new or replacement roof. In hot, dry climates like Las Vegas, sun and wind can do a lot of damage over the years. If you have an asphalt roof, look for dried, cracked, warped or bent shingles and have those replaced. 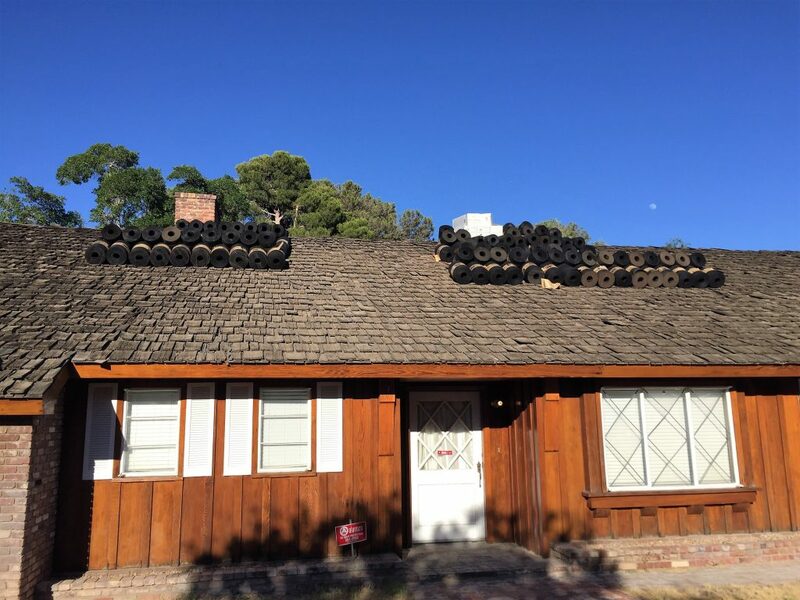 Asphalt roofs last 15-25 years in the desert and damage will worsen over time as the roof ages. 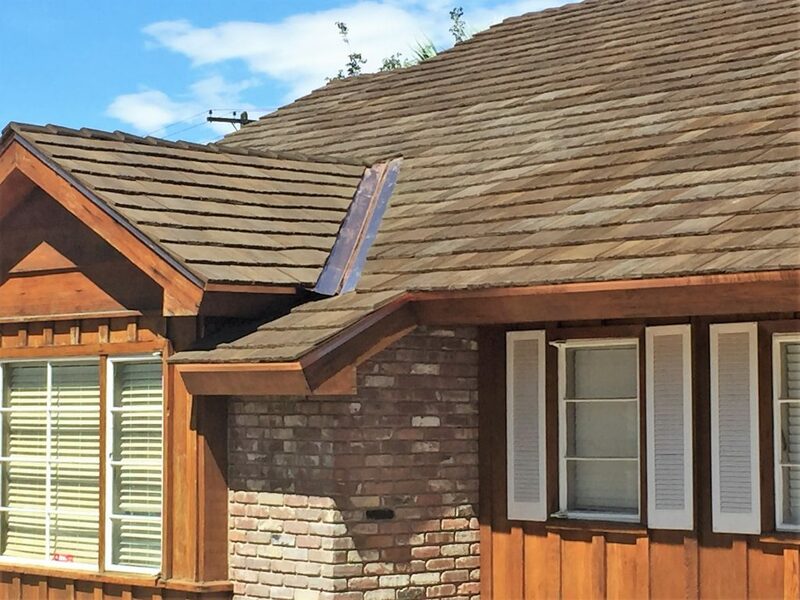 Tile and metal roofing are highly durable choices for the desert, but it’s still a good idea to carry out a visual inspection in case other problems crop up, such as damage caused by falling tree branches or high winds. It’s important to remember that roof work is dangerous and work that requires climbing onto the roof should only be attempted with the right safety equipment and with knowledge of how to avoid damaging your roof, as even roof inspectors know. The best solution to roof care is to partner with a professional roofing service that provides scheduled inspections and regular maintenance programs to help you protect your investment. Some companies offer to pressure wash your roof, promising to make it look new. Unfortunately, pressure washing may cause a lot of damage, particularly to roofs like asphalt or tile where components can easily be pushed out of place by the strong spray. 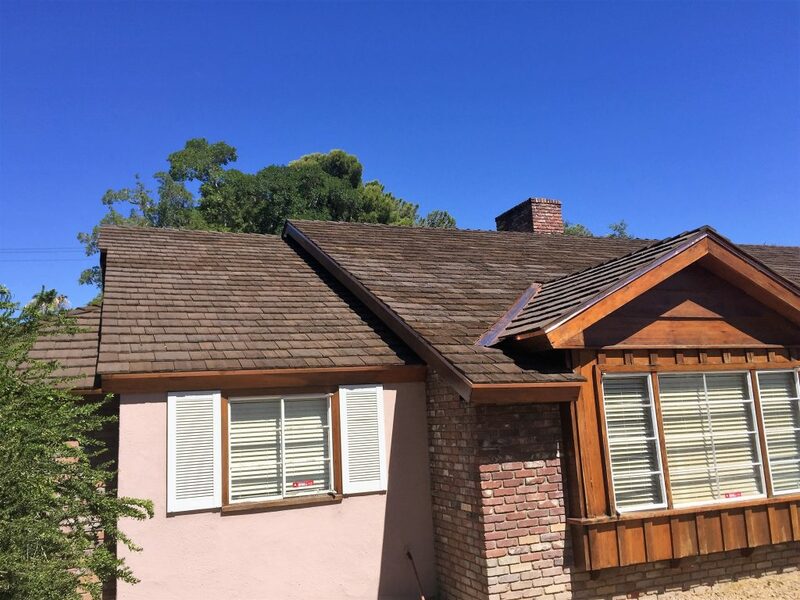 Spraying pressurized water from the edge of the roof line (against the lay of the roof tiles) can cause uplifting or force water underneath the tiles. Pressure washing will simply cost you more money in the long run, with potential damage to the roof’s substructure. If you roof needs washing, hire a company that will use a biodegradable cleaning solution (you don’t want dangerous chemical damage to your plants or have it wash into the sewer system) with regular water pressure only. 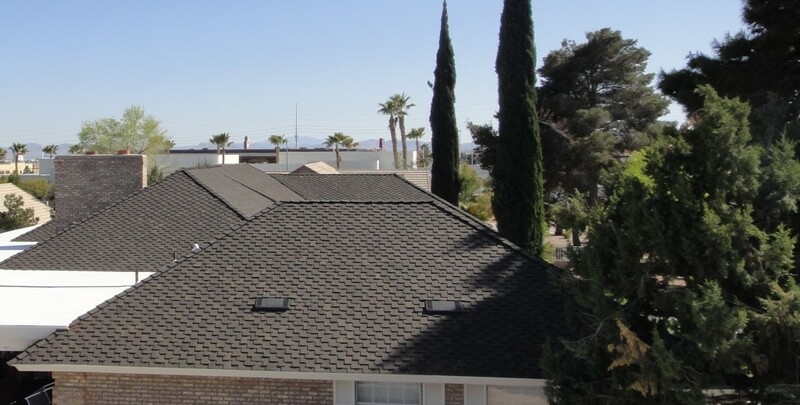 As a longtime quality roofer in Las Vegas, Prestige Roofing also provides roof cleaning, inspection, repair and maintenance services for all types of roofs. 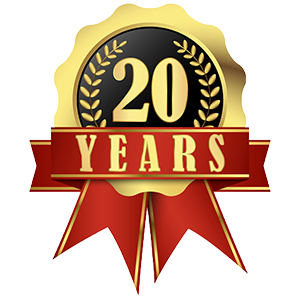 If you would like more information on caring for your roof or to schedule a free estimate on any of our services, give us a call or contact us.